Maharashtra plastic ban: Along with allegations of ‘wrongly’ penalising people, this team of BMC’s vigilance squad is also facing public’s ire due to confusion over what’s banned and what’s not. On June 23, the state-wide ban by Maharashtra on the use of plastic products, including single-use disposable items, came into effect. Since then, 249 members of the Brihanmumbai Municipal Corporation’s (BMC) ‘plastic ban vigilance squad’ have been conducting checks and levying fines. But along with allegations of ‘wrongly’ penalising people, Jadhav’s team is also facing public’s ire due to confusion over what’s banned and what’s not. 1. How are people reacting to the ban? It is quite bad. While several people have surrendered their stock of banned plastic products, commercial establishments, especially shopkeepers and retailers, are posing a problem. When the plastic ban was notified over three months ago these people did not take it very seriously, and even now they aren’t doing so. In such a situation, penalty is the only option. However, a majority of the citizens have welcomed the ban. 2. What excuses are people offering for violating the ban? All shops and commercial establishments that we have raided so far claim that they didn’t know about the order, or that they are unsure about which products are banned. They were given three months to discard their plastic stock or surrender it. Their unions knew about it, it was reported in the media, and several awareness campaigns were also carried out. Everyone knows about it. 3. What do you do when people refuse to pay the fine? We have been trained for months on how to levy fines and on whom. Recently, during an inspection, a colleague was surrounded by an angry mob. There are people with political affiliations who threaten us and create a ruckus. But we want people to understand that we are not here to generate revenues for the BMC, we are simply creating awareness. Before levying a fine, we ask the owner of the commercial establishment to voluntarily surrender all the banned plastic on their premises. But often they deny having any. Later, we conduct checks and only if we find banned products we fine them. 4. Is the job difficult? 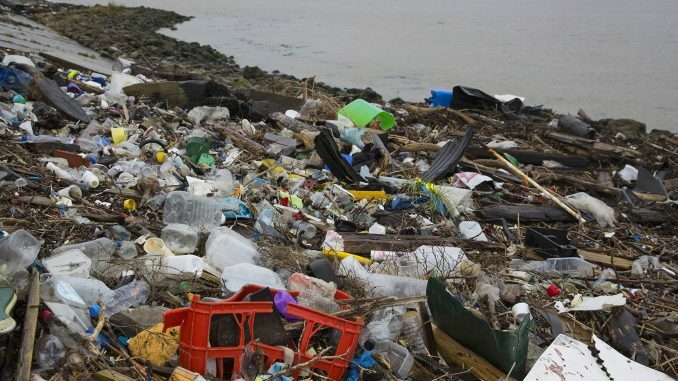 Initially we thought that implementing the ban would be easy as now most people know of the harmful effects of single-use plastic on the environment. But it seems that being environment-friendly is just for showing off on social media. Shops and hotels prefer plastic because it is cheaper. People have been poking fun at us through WhatsApp jokes. 5. There have been allegations of unwarranted fines from restaurant associations. The allegations are untrue. They (restaurants) must show us a certificate/document to prove that the containers they are using are reusable and recyclable, which is not banned. All single-use plastic products are banned. We have only made exceptions for products such as garbage bags, for which we are yet to find an alternative.